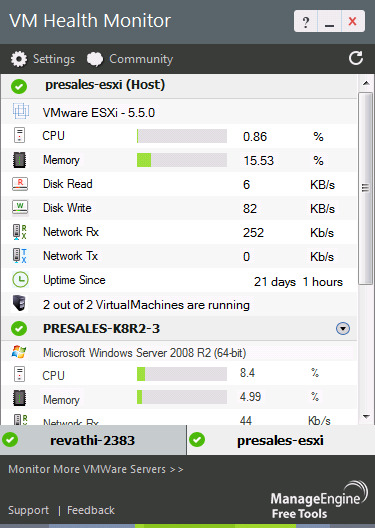 View the number of virtual machines present, see if they are powered on/off or suspended. 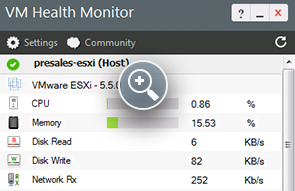 Monitor VMware Esx and Esxi servers for CPU, memory, disk read/write, network Rx/Tx utilization and ensure your applications run smoothly. Set critical and warning thresholds values. 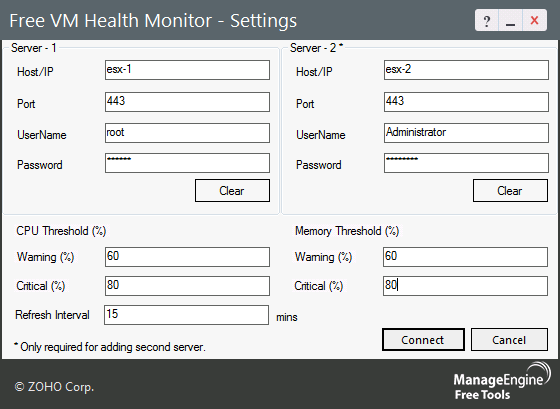 If CPU and Memory utilization crosses the threshold limit, alerts are shown in the dashboard Tool. Set refresh time interval and view the latest performance data periodically. 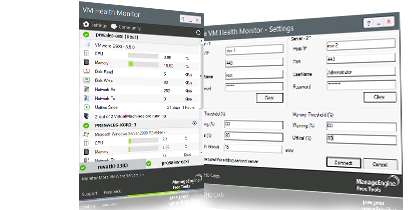 For detailed VMware monitoring, ESX server and Guest OS machines, visit OpManager the best-in-class server management tool. 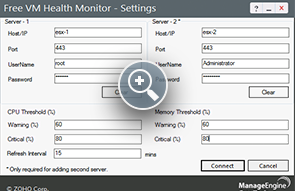 Monitor ESX, ESXi, VMs, Vcenter and Guest machines. Identify and eliminate VM sprawl. Resource allocation and capacity planning.